Just having a Facebook Page is really just the beginning of building a successful social media strategy. But with the right formula will not only help you engage with Fans, but generate hot leads and real ROI from your Facebook following. So how do you implement that process? 8.11% of all traffic on the internet comes from Facebook. The people looking for your products are already on Facebook, the question is how do you find them where they are already looking? The first step to growing your fan base is developing a user persona around your ideal Facebook Fan. You can’t find what you’re not looking for. Traits of your ideal fan, and ultimately your leads and customers, are based on demographics, interests and likes, jobs experience and geography. Combining characteristics from each of these categories will allow you develop a usage scenario. In this case, the usage scenario is how your brand and ideal user interact on social media and Facebook in particular. All of your usage scenarios come together to become your content strategy. Your content strategy should be broken into pillars; categories of content that are relevant to your ideal fan personas and on-strategy for your business. 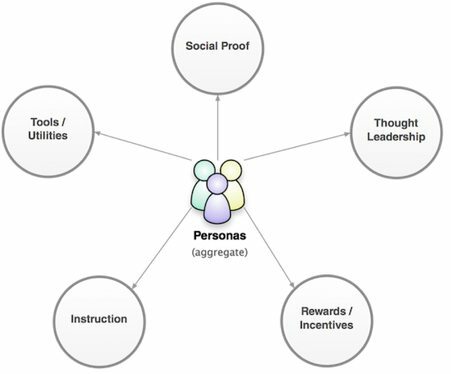 Below are 5 examples of types of pillars you may develop for your persona. All of your content and posts should fit into one of these categories. Note, that these 5 may or may not be relevant to your own business. A fan becomes a lead when they willingly provide contact information, sign-up for your email newsletter or otherwise opt-in to learn more about your business. This is best achieved when there is already brand affinity in-place and you have already positioned yourself as the industry expert. To build that brand awareness and affinity, you’ll use your content pillars to create good and engaging content. 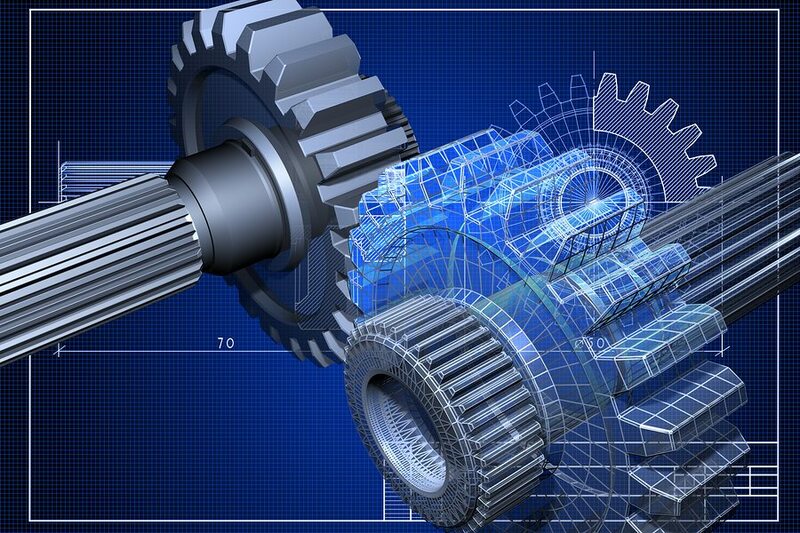 In providing immense value, you will create trust and solidify yourself as an industry expert. This exchange of information will create long-term, loyal customers. Start by encouraging engagement with your content in the Facebook news feed. According to a Hubspot Study in 2013, photos on Facebook generate 53% more likes than the average post. The more likes, shares and comments you receive, the more visible future content will be to your fans. Email is the #1 reason adults go online. 92% of all adult internet users in the US check their inbox on a regular basis (2). Capturing email addresses is vital to taking the relationship to the next level. To do so, post a sign-up form to your Facebook page via a 3rd party app. Occasionally encourage Fans to sign up to receive updates via email. 84% of all internet users in the US search for ‘how-to’ or DIY information. The download should be set-up as an auto-reply to avoid you having to lift a finger. Nurturing leads makes your campaigns and promotions that much more effective. Through your content strategy, you provide tremendous value first, before asking for the sale. As bestselling author Gary Vaynerchuk says in reference to warming leads and making sales ‘Jab, Jab, Jab, Right Hook’. 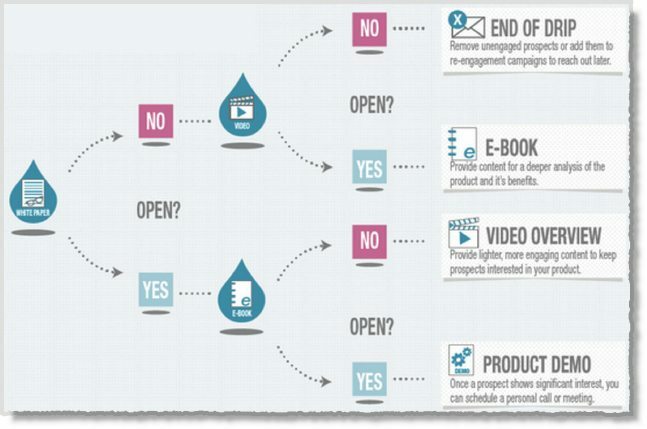 One way to nurture prospects to sales ready state automatically is through a drip campaign. 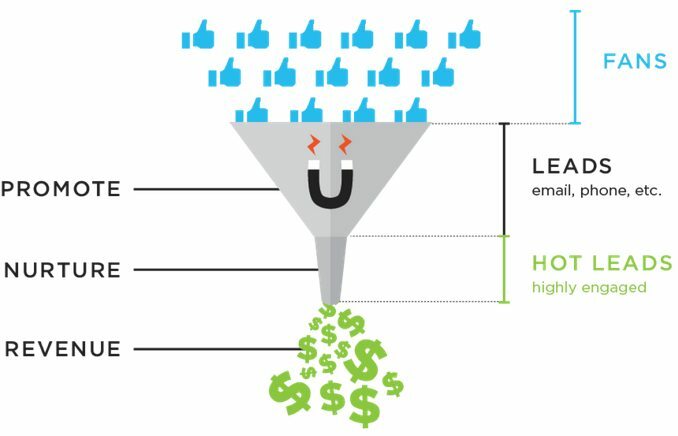 Below you’ll see an example drip campaign where you provide content first and only show a product demo to warm leads. This technique requires little maintenance from a marketing team, producing no touch sales. Another example of lead nurturing would be to invite leads to special in-person events like trade shows, private meetups and invite-only lectures. This is more costly, but drives very high brand affinity. It provides an avenue for priceless face-to-face interaction with your leads. Once you’ve provided extensive amounts of content and warmed the leads to point that you feel comfortable asking for the sale, it’s time to do just that.Make the sales through Facebook marketing by leveraging special discounts and offers. Include additional values such as free shipping, white glove service and product bundles to close the deal. Generating real revenue from Facebook is a long-term strategy rather than a turn key solution. You must be patient and value driven to put yourself in the position to identify your ideal fans, convert fans to leads and warm leads to sales. The social sales cycle is a good framework for understanding how your business can benefit from social media. Does your brand follow a similar strategy to proving value of social media? If not, do you plan on adopting one? Guest Author: Alex Shamy – User Growth & Product Marketing at Heyo. Internet explorer, defaulting to action. Passionate about growing sustainable audiences through conversion optimization, systems organization and frictionless design.